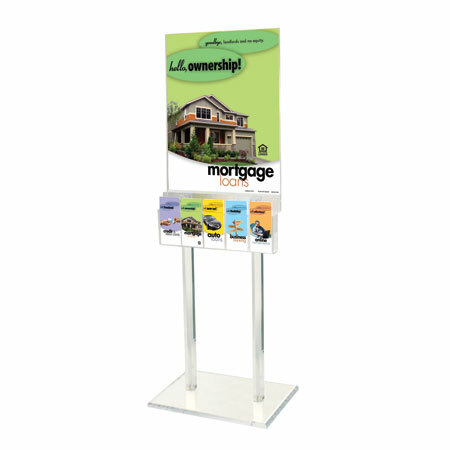 This elegant & practical clear acrylic floor frame displays any of our standard 22"w x 28"h posters to form distinctive, stand-alone message station. Posters may be ed back-to-back for double-sided viewing. Comes with (1) 5 Pocket Brochure Holder. Easy assembly. Stands 67"h & displays 22"w x 28"h inserts.